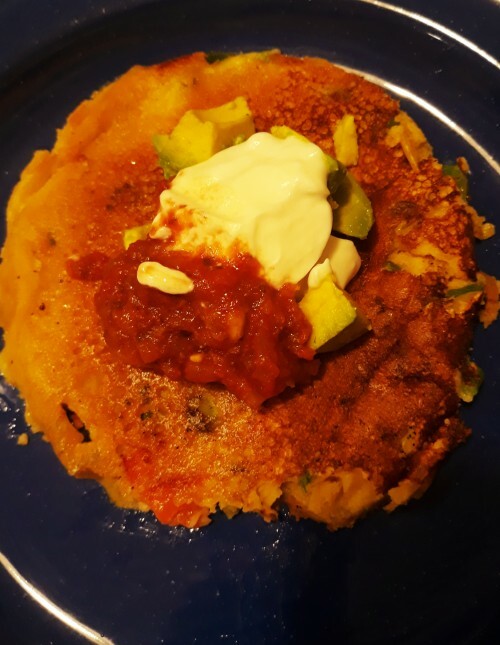 These vegan, gluten-free garbanzo pancakes are great any time of day! Top with your favorite garnishes -- avocado, salsa, vegan sour cream, etc. Light but filling!